Adult socal care would not escape unscathed if chancellor George Osborne imposes cuts of more than 3% on councils in 2015, says Association of Directors of Adult Social Services resources lead. The government must limit cuts to councils to no more than 3% in real terms in 2015-16 to avoid adversely hitting adult social care, directors have warned. John Jackson, co-chair of Association of Directors of Adult Social Services’ resources network, warned that the government could not sustain cuts to town halls at current levels – funding is due to fall by 33% in real terms from 2011-15 – without damaging adult care. 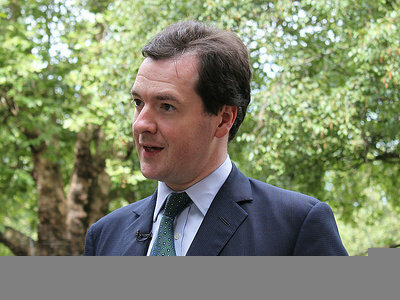 Adass and Local Government Association are in talks with the Department of Health to try and gain maximum protection for adult social care in 2015-16, with chancellor George Osborne set to announce government departments’ funding levels for that year on 26 June. Councils have reduced adult social care budgets by almost £2bn from 2011-13, after taking into account rises to meet inflationary and demographic pressures. On a budget of about £14bn a year, this amounts to a cut of 7% a year in real terms. Adass is surveying members on their 2013-14 budgets, and further significant reductions are expected to have been made. Jackson told Community Care there was still scope for councils to make savings in adult social care in 2015 “at the margins”, either by buying care more cheaply or reducing demand through preventive services. Though he said the proposed 3% reduction in government funding for councils was “not a calculated figure”, Jackson said it would be “absolute maximum” adult social care could safely withstand, but would still involve “significant challenges” for councils. Any funding settlement for councils for 2015-16 would need to take into account of new duties on councils due to be implemented in that year through the forthcoming Care and Support Bill, which is currently in draft form. These include duties to provide preventive services, information and advice, assessments for carers and support for those deemed eligible, undertake safeguarding enquiries where abuse is suspected, set up adult safeguarding boards and promote a diverse and high-quality market of care services. Adass and the LGA have warned that existing government estimates of the costs fall far short of what would be required. Jackson added that councils would face “non-trivial” costs in 2015 from the implementation in 2016 of the planned £72,000 cap on the costs of care by self-funding individuals before the state picks up the bill. This would include the costs of gathering information on self-funders who are not known to social services, new systems to provide people with a “care account” to track their progress towards the cap and additional assessments in 2015 of people who want to be considered for the cap from 2016. He said some of these assessments could be quite intensive, for instance if a self-funder has moved into a care home but the council believes their needs could be better met in the community. Jackson (pictured above) said the government needed to continue mandating that the NHS transfer a sum of money to councils each year to fund adult social care services that mitigate pressures on the health service. The transfer – worth £859m this year – is being made every year from 2011-15 but there is no government commitment to continue this arrangement beyond 2016. Jackson, who has also set out his thinking on the spending review in the latest edition of Adass Futures, the association’s bi-annual magazine, said he disagreed with proposals last month from the House of Commons health select committee, to ring-fence adult social care budgets so that spending could be maintained at current levels. Jackson said the fact that adult social care was not funded as a distinct entity, but resourced primarily from the main central government grant for councils and local business rates and council tax, meant ring-fencing would be unfeasible. But he also said it would be undesirable as it would load significant funding pressures on to other council services – such as housing or leisure – that were crucial to adults’ health and well-being, and reductions in which would rebound on adult social care. “I understand why people are arguing for that but first of all it’s impractical but it’s also questionable whether it would have the desired effect,” he added. Jackson said it was “impossible for anyone in local government to tell” how the spending review settlement would go for councils.